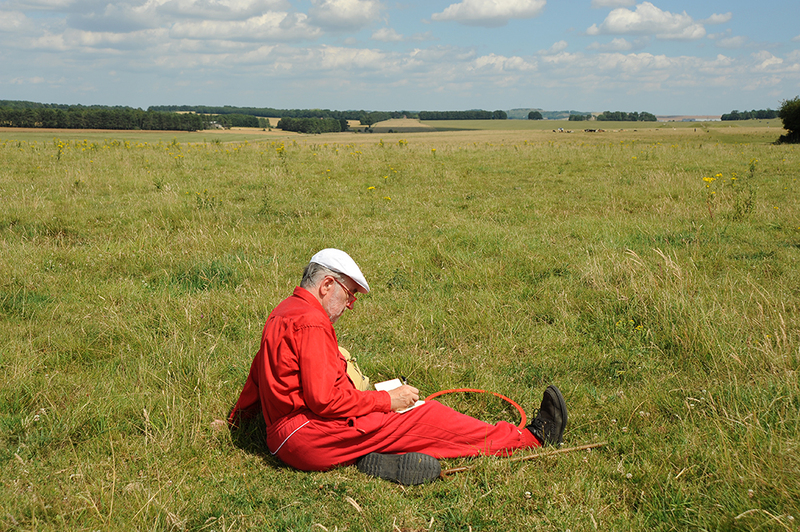 Portfolio Categories: books, commissions, and site-specific. 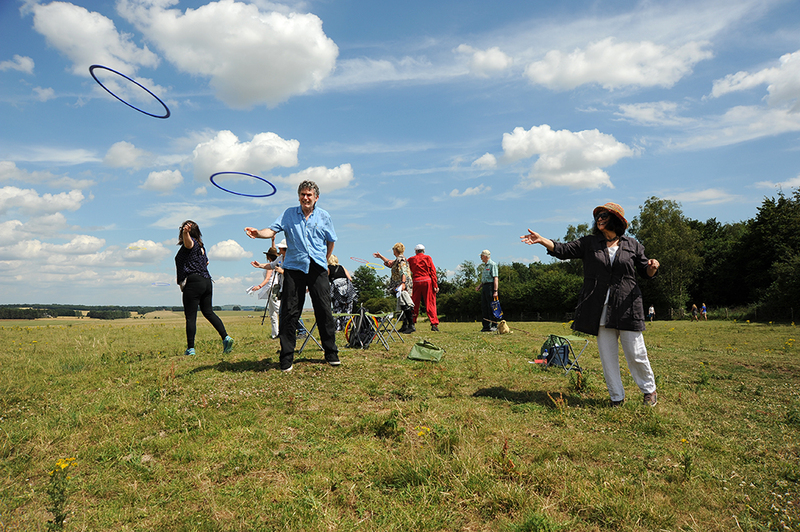 Commissioned and produced by Ginkgo Projects, Loop in the Landscape is a three-part assembly of poems, photographs and prompts for being in the landscape. 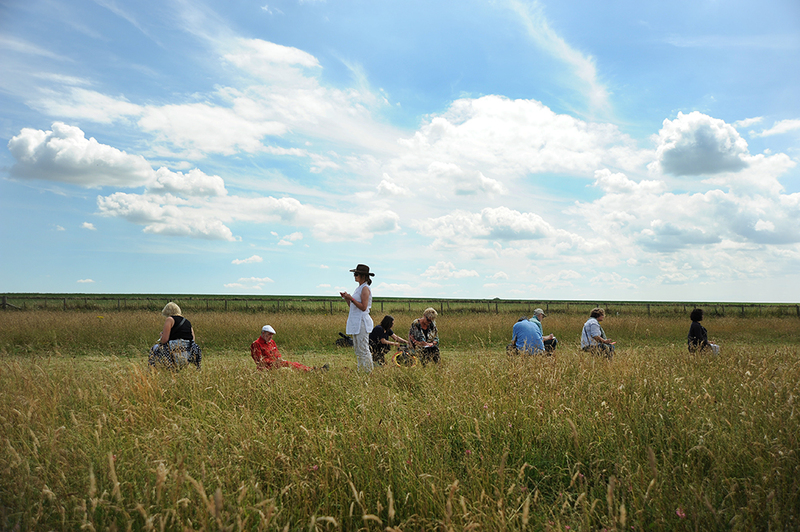 This is not landscape as a scene or backdrop but as a site of immersive and productive activity. Once the reader has removed the yellow loop binding, the three parts – a booklet, a single-sheet concertina, a poster – can be unfolded from each other. 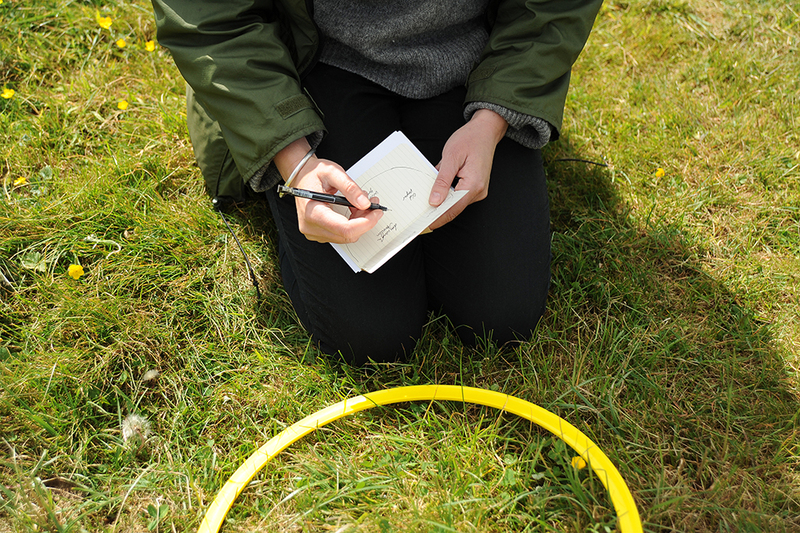 The booklet (yellow) contains a sequence of ten poems composed by local writers frisbeeing hoops over the grass from the western end of the Stonehenge Cursus, as if they might be conducting a survey with an ecologist’s quadrat to write detailed maps of the red ants and cow pats caught in its accidental frame. 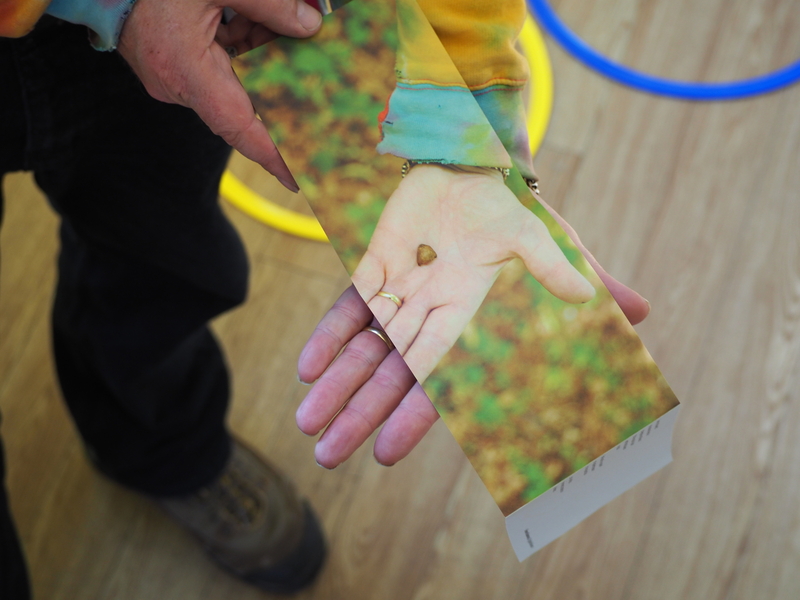 The concertina sheets (green) carry one of a series of ten maps, prompts, exercises and photographs for entering the wider landscape. 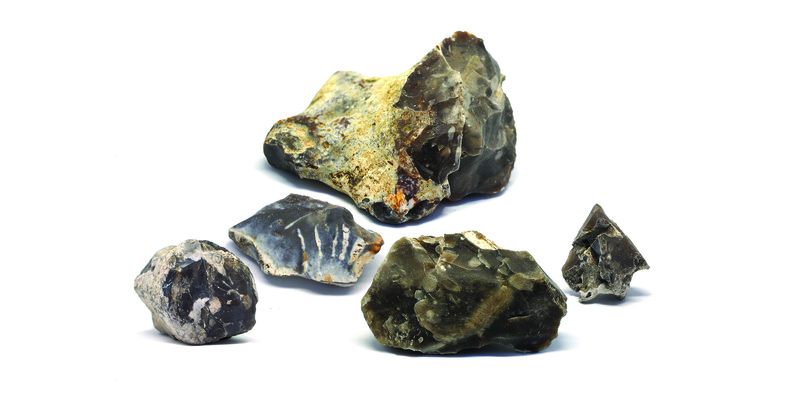 The Flints of Wiltshire poster (blue) is a collection of poems written by young writers reimagining landscapes from small pieces of flint. Through play and writing exercises, the children explored the phenomenon of pareidolia which, from the Greek for ‘beside the image’, describes the way we tend to find patterns in randomised data, finding tigers claws, arrow heads, mountain caves and moons to write a collection of strange and strangely moving poems about beauty, extinction and homework. 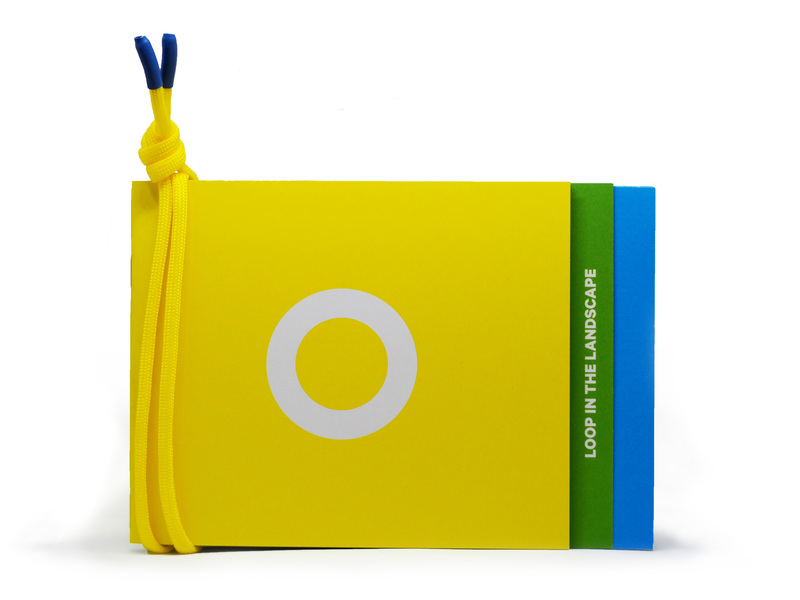 The yellow loop can be opened up and spun up in the air to recreate the writing exercises documented in the booklet. Photography by artist and writer Ellen Wilkinson. Design by City Edition Studio. Published in a hand-tied edition of 250. Please get in touch if you would like to receive a copy of the publication.